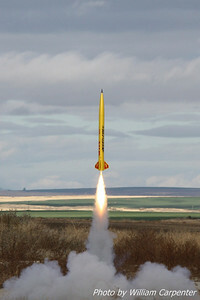 My DynaStar Stonebreaker lifts off on an E9. 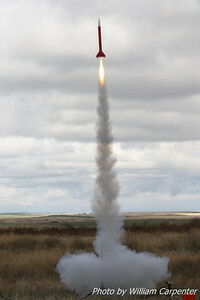 A Binder Design Certi-Fire in the Sky lifts off. 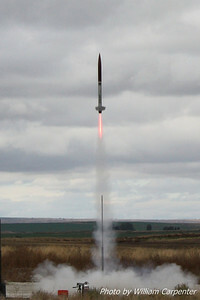 The Certi-Fire suffered a separation at apogee, but the dual deployment altimiter fired the main and the forward section recovered successfully. 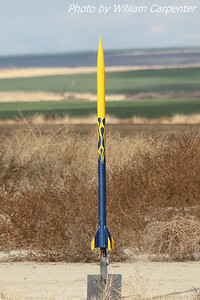 My Rocket Dynamic Systems Shooting Star sits on the pad. 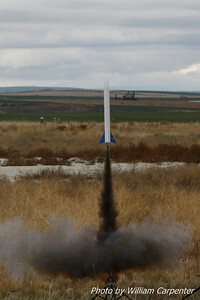 My Shooting Star lifts off on an I161 for a flight to 2178'. 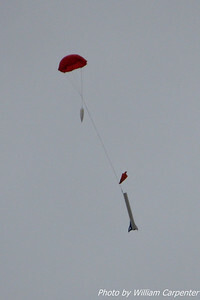 Unfortunately, the Shooting Star suffered deployment issues, and core-sampled (quite spectacularly) in the middle of the racetrack. 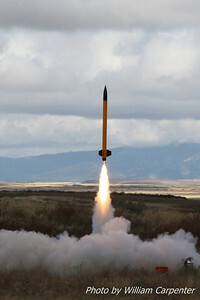 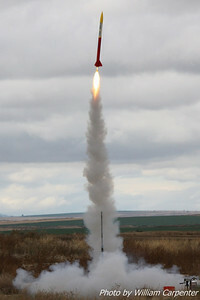 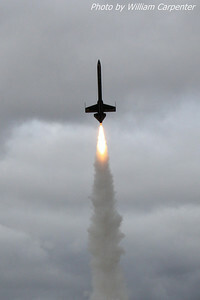 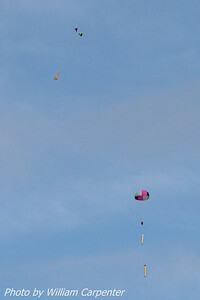 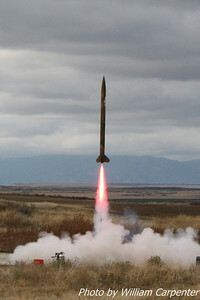 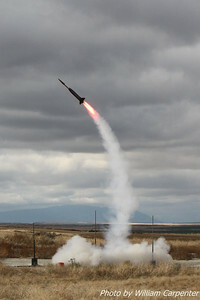 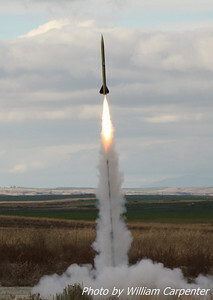 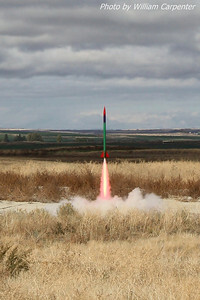 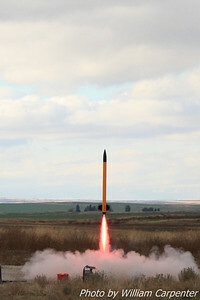 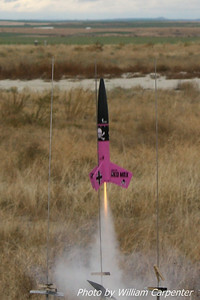 An Estes "Der Pink Max" lifts off from the low-power pads. 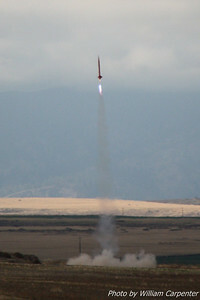 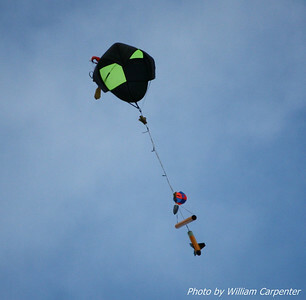 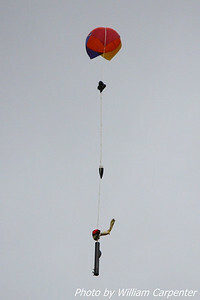 Dave Walp's Excel Plus lifts off on a Red Lightning motor. 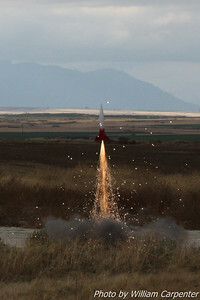 My Madcow Rocketry Solar Express lifts off on a Cesaroni F36. 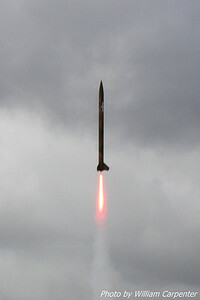 A BSD Thor lifts off on an I161. 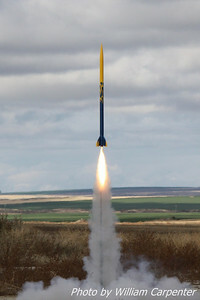 Bryan Whitemarsh's Avenger lifts off on a K560. 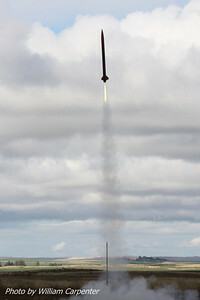 The forward section of the Avenger recovers. 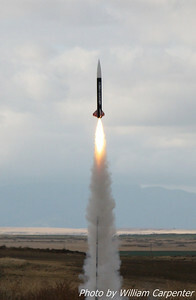 A Dark Star Lite lifts off on an F52. 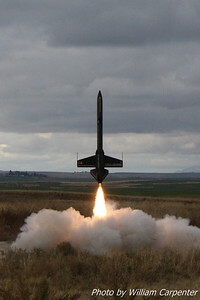 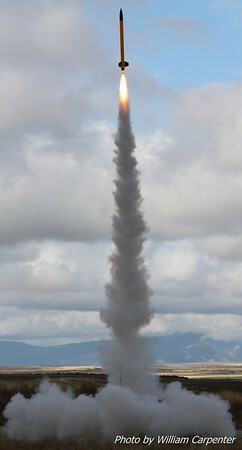 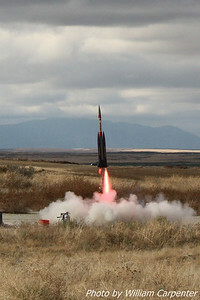 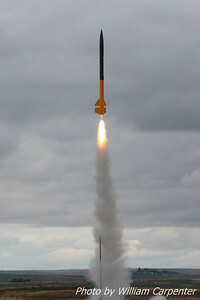 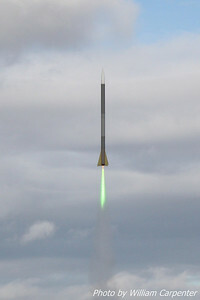 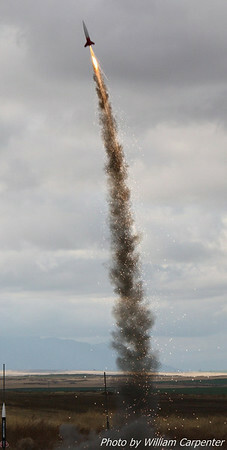 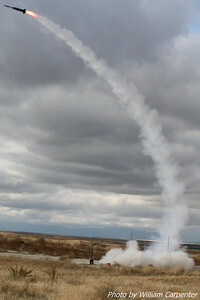 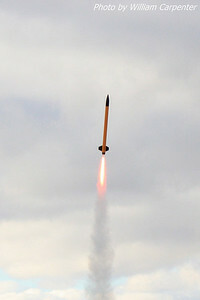 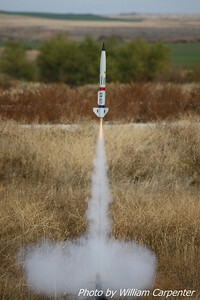 A rocket launches from the away cell on an L-impulse Blue Thunder motor. 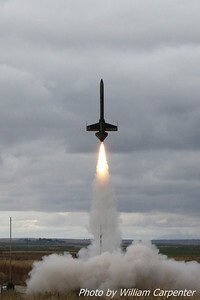 Robert Winglee's "Latitude Adjustment" shortly after one of the two J-impulse motors in it lit. 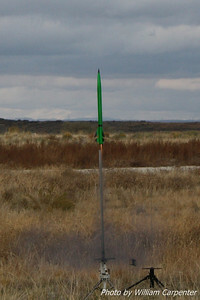 The second motor in the cluster lit shortly after the first, pushing the rocket on a severely angled path. 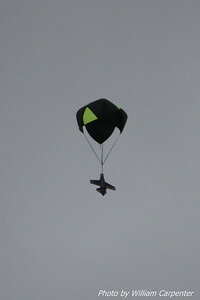 Latitude Adjustment continues on it's angled flight path.